Some students have been starting their experiment since this week or last week, I think. I'm also planning on starting my experiment in the near future. 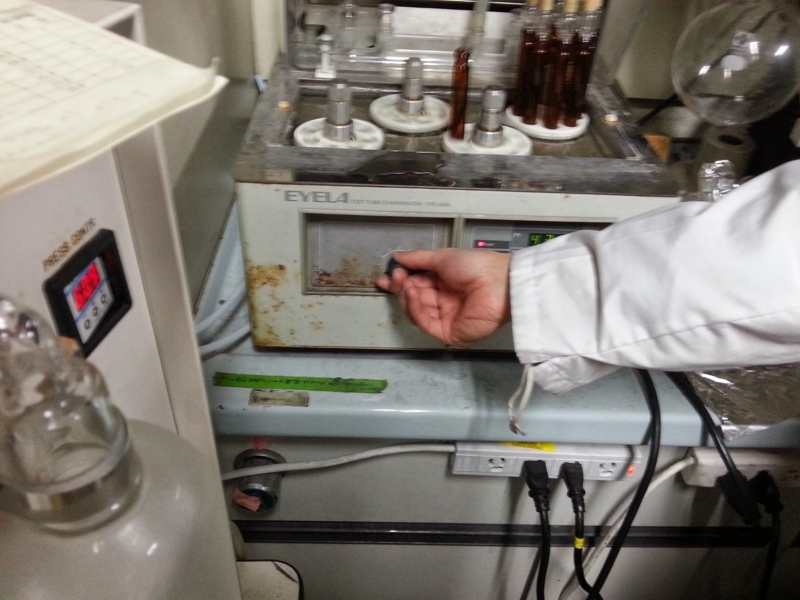 Yesterday M-san taught me how to use GC-MS and extraction methods. The picture below shows concentrating samples.